Are hard lenses as difficult to fit as everyone in the 'RGP in-crowd' likes to make out? Do you have to know tonnes of maths and optics to fit them? Can you only fit them if you are an independent with long appointment times? No. We've all had times when we know we should fit them to a patient, but we just don't have the confidence to know where to start or what to do when things don't go to plan. With practical tips and some straight talking advice, this lecture will give you all the information you need to start fitting RGPs and solve the common fitting complications even if you've never touched one since pre-reg. Educated in Edinburgh, Ian Cameron graduated from UMIST with a first class honours degree in Optometry. He went on to undertake his pre-reg year at the Manchester Royal Eye Hospital. He worked for Eurolens Research, the Royal Eye Hospital and teaching undergraduate refraction at the University of Manchester before returning to Edinburgh to work in private practice in a specialist contact lens practice. 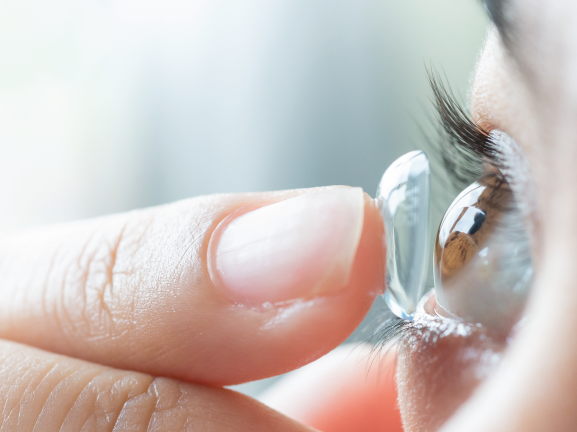 He continues to be active in contact lens research and is a member of various consultation committees for contact lens manufacturers as well as carrying out a regular clinic at Edinburgh Royal Infirmary.